There is an air of excitement in the office and it's not just because Christmas is approaching.....we are excited to say that we are moving premises to beautiful Southernhay. The new office is right next door to our Photography Studios and even though the renovations aren't complete (the painters are in over the weekend!! ), we think it's an amazing space to work in and welcome clients to. Our old Office and the Renslade building are set to be converted into student housing, which with Exeter's great College and University is a fantastic use for the property. As you can see, the exterior of the building fits in perfectly with Exeter's architecture and the new office is situated in the lower floor. We are hoping to move to the new space in mid December and have been having lots of fun planning the new layout and decor. The interior area housing the office consists of two rooms with plenty of natural light and access to the green area around the rear of the building. We are really looking forward to unveiling the new look when finished, but until then we hope this quick preview gives you some idea of our new home. We have even organised our first event that will take place here; a presentation on Social Media including free nibbles and fizz and the opportunity to Network. Find more details here. In other news we will shortly be announcing our new Facebook competition which is connected to the Exeter Pound. We feel the Exeter Pound is a fantastic way to support small businesses and the local economy and are extremely honoured to be able to support such a great cause. Anyway, back to packing. See you in the new office! Just a short post about the terrible events at The Royal Clarence Hotel recently. We were absolutely horrified at the level of devastation, but overwhelmed at how well The Fire Department and other Emergency Services responded. We were also amazed at how many of Exeters residents pulled together to volunteer their time to help. We know it's going to take time and a huge amount of effort to rebuild, but Cathedral Green is now open to pedestrians and life is slowly returning to normal. TRICK OR TREAT. Great things to do in and around Exeter this Halloween. Here at VisionICT we have to admit Halloween is one of our favourite times of the year. We're fortunate enough to be based in a great city that has so much offer all you Ghouls and Ghosts out there. Here are just a few of the frighteningly good events going on in and around Exeter this year. Little Monsters and big are invited to explore under the city's streets on special guided tours and discover ingredients for magic spells. Using the ingredients found, the young adventurers are challenged to concoct their own magic spell and enter it into a competition with the opportunity to win one of many fantastic prizes! Also at Exeter's Underground Tunnels brave adults and children aged 14 years and over will have the opportunity to experience an evening 'Gory Stories' tours. These chilling tours explore the darker side of Exeter's history, and take place with the lights off! Not for the faint hearted! If you're feeling brave you and your little ones can follow the Pumpkin Trail to win your own pumpkin to carve in the Potting Shed. The braver ones can have a close encounter with Dartmoor Reptiles! There will be delicious wood-fired pizzas, crêpes, DJ and a bar all on site too. All of us at VisionICT hope you have a terrifyingly terrific time!! BOO! Devon is wonderful all year round, but there is no denying that the county has a little extra sparkle during the summer. Sometimes the Vision Responsive team pinch ourselves as a reminder that we live in such a beautiful place. Whether you are a local or just visiting for a summer break, take a look at our top tips for enjoying the best of Devon this summer. North Devon has some of the best surfing beaches in the South West. Now considered a rival to Cornwall’s surfing scene at Fistral Beach, North Devon boasts quieter beaches with world-class experiences. Beginners should head to Saunton Sands for calm and cruising waves with a slower break. With its growing reputation, Croyde is sure to impress the more advanced surfer. The best waves occur at low tide, but be aware of the shallow waters. If you would rather keep your feet firmly on the ground, Dartmoor Walking Festival is new for 2016 and will run from 27 August - 4 September. The Dartmoor National Park are organising Ranger-led walks, archaeological visits and fundraising events such as the British Heart Foundation’s 25th annual moor walk. Whether you want easy strolls or a challenging hike, you are sure to be dazzled by Dartmoor’s stunning scenery. A full programme of events is available at visitdartmoor.co.uk. For fun no matter what the weather, head to the award-winning Milky Way Adventure Park near Higher Clovelly. It is great for the whole family with attractions such as the Droid Destroyer dodgems, the Time Warp play area, assault courses, the Cosmic Typhoon rollercoaster, bouncing pillows, huge slides, as well as the Little Stars Play Centre for younger thrill seekers. There is even a railway line and a Bird of Prey Centre. Devon is admired for its fantastic local food, award-winning restaurants and links to renowned chefs. With the Queen St Dining quarter set to open in Exeter’s Guildhall this summer, there is even more to look forward to. Sample some of the region’s best produce at one of the many Devon markets or food festivals. Our favourites include the Totnes Good Food Market held on the third Sunday of each month, Exeter Street Food markets held at four locations across the summer, and Crediton Farmers Market on the first and third Saturday of each month. Get outdoors into Devon’s world of wildlife. The Devon Wildlife Trust website is brimming with information, helping you to discover magical places on your doorstep. Visit the site for a full summer programme of organised events or be inspired by their walking guides, species lists, secret places, and suggestions of “what to see this season”. The Devon Wildlife Trust is the only charity that exists to protect all wildlife in Devon and to safeguard Devon’s unique natural environment. You may have noticed Vision ICT has been invaded by animals! Don’t worry, there hasn’t been a breakout at Paignton Zoo. This marvellous menagerie is helping us to shout loud and proud about our business, our team and the wonderful ways we work with councils. 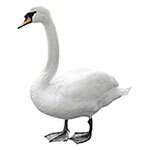 Swans naturally establish strong partnerships between one another and often form life-long relationships. Our close-knit flock is based in the heart of Exeter, moments from our feathered friends on the Quay. Our in-house team includes a specialist web developer, graphic designer, copywriter and project manager who combine their skills to provide you with an outstanding service. The oldest known elephant lived for 86 years. 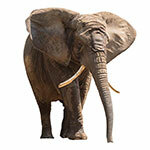 An elephant can hear another’s call up to five miles away. Our herd has over 16 years experience. We are a robust team with exceptional talents, offering bespoke websites, a suite of online services and dedicated ongoing support. Dogs instinctively want to bond with others and show loyalty to those who could be part of their pack. Our pack is loyal, trustworthy and reliable. We want you to join us and for our partnership to flourish. We will always be at your side to offer expert advice. When it comes to pricing, we avoid confusing jargon and work with honesty and transparency. Bees are incredibly industrious creatures. 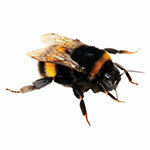 They pollinate a third of our food and have a vital role in sustaining the planet’s ecosystem. Our hive is fuelled by a genuine passion for local communities. Ethics are at the heart of what we do, helping to pollinate good things in our area. We support charities and local initiatives and have been known to jump out of planes in the name of fundraising. For more information visit our website at visionict.com. Twitter Competition! Search #visionwebsites to see what our creatures have been getting up to. 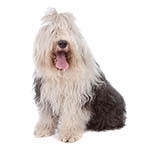 Post a photo of our furry friends to be in with the chance of winning a bottle of fizz! Weeeee are the champions, my friends! Well excuse us for boasting, but the Vision team were thrilled to win the Taurus Charity Quiz at the Barnfield Theatre in Exeter. The fun quiz, held on 7 June, raised much needed funds for the theatre’s Clifford Room, a hub for local groups, charities and creative societies. We had a fantastic evening and were in great company with many of Exeter’s local businesses taking part. We tried our luck in the raffle and dined on tasty food from Feast Without Fuss. Our brainy bunch beat 9 other teams and went home with the top prize of 5 tickets to see a production at the Barnfield Theatre. Charity quiz events are an excellent opportunity to support a worthy cause whilst publicising the work of your council and forming great relationships with your local community. Whether you choose to host an event or participate as a team, events such as these provide the chance to network with your parish, link up with local businesses and promote your services. At the same time, you are raising awareness about charities and showing your clients that you care about your community. Putting a quiz team together also fosters better working relationships between colleagues, encouraging good communication and collaborative working, something we at Vision think is very important. If you are unable to attend or organise a quiz, consider donating a prize to an event in your local area. Not only will you be helping charities, you will also be letting your customers know that their council has a strong commitment to social responsibility. 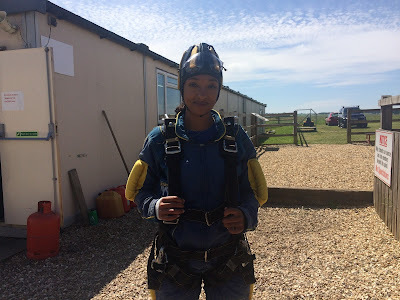 Eek We Did a Skydive! 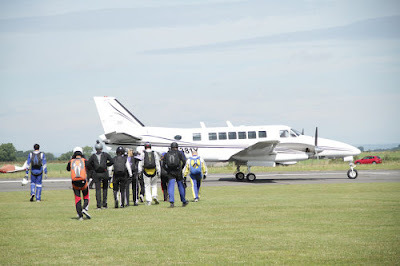 We Jumped out of a plane! 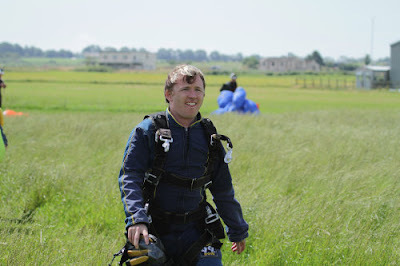 We have recently just jumped 15'000ft out of an aircraft for a fantastic cause! Pete's Dragons do a fantastic job at providing support for families that have been affected by suicide. They provide financial assistance and support for families during a very difficult time. We would like to thank everyone that has supported us donated to the fantastic charity. Daniel Hiller, director of the company said of the jump. "It was a very exciting thing to do, although I whole heartedly believe in supporting a good cause, however I am not sure if I would do it again!. The skydive was held at Dunkerswell airfield in Devon and was originally part of a world record attempt for the most skydives to be held in one day. Due to weather the original date of the skydive was postponed, so this was the new date. Lucy said, "it was a fund day out and the weather was fantastic, many thanks to Pete's Dragon's for organising the day"
We would like to thank everyone that has donated to the cause and would like to thank you for your support and on-going custom.